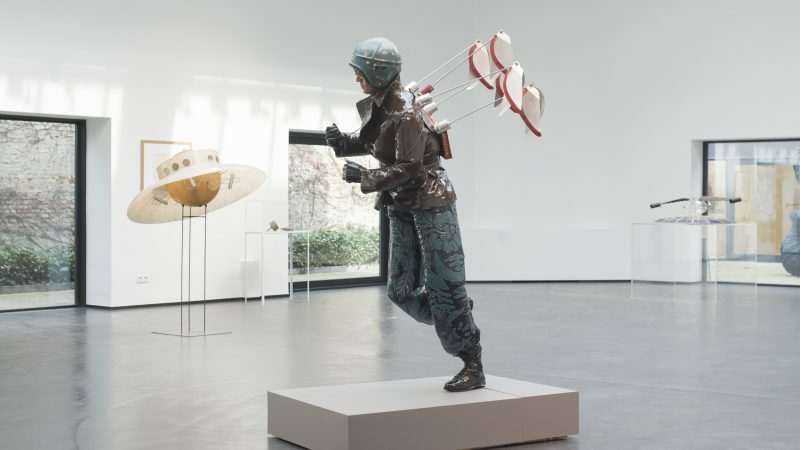 Panamarenko (Antwerp, 1940) is an extraordinary and unclassifiable individual within contemporary art. As an artist, engineer, physicist, inventor and visionary, he has conducted exceptional research into concepts such as space, movement, flight, energy and gravitation. His work is a combination of artistic and technological experiment, and takes different forms: aircraft, submarines, cars, flying carpets and birds. Every time spectacular constructions of strange beauty, simultaneously playful and impressive. The Collection (1), Highlights for a Future @ S.M.A.K. Guillaume Bijl, Leo Copers and Panamarenko will be part of a new group exhibition at S.M.A.K., Ghent. On the occasion of its 20th anniversary, S.M.A.K. is presenting ‘The Collection (I): Highlights for a Future’.